While President Donald Trump allocates more resources to increase deportations in the United States, the majority of undocumented immigrants face judicial proceedings without legal representation. This increases the chances that some type of injustice will occur. In some courts, six out of 10 immigrants have no legal representation. Krishna Roca, 43, first learned why she had been detained for over a month from a television screen and a speaker. FInd here a brief explainer about the lack of legal counseling for immigrants in the US. That was in 2015. After 12 hours at the airport without food, Roca was handcuffed and transported to a detention center in Elizabeth, New Jersey, where she and other immigrants facing deportation were housed along with suspects accused of committing crimes. A month later, Roca had her first hearing where she learned the charges against her. The judge did not allow Roca to respond to any of the allegations, and she was unable to defend herself. She didn’t know that it was vital to have an attorney present to represent her at the hearing. Even if she had known, Roca wouldn’t have been able to afford one. Facing the hearing without legal representation ended up costing Roca an additional month in detention. The judge granted her that extra month to find legal help before a follow-up hearing was scheduled, according to Lloyd Munjack, an attorney at the American Friends Service Committee (AFSC), which provides legal assistance to immigrants facing deportation in New Jersey. “If she had legal representation, Roca could have avoided that month in detention, and she could have sought bond in order to be released while her case proceeded,” Munjack said. Munjack began representing Roca in her judicial process after she turned to the AFSC for help. In the U.S., 57% of immigrants facing deportation do not have an attorney, according to a University of Pennsylvania study, the only one of its kind. This study analyzed 1.2 million cases opened by immigration courts between 2007 and 2012. However, among those who are detained while awaiting judicial proceedings, as in Roca’s case, the percentage of immigrants without legal representation jumps to 86%, depending on the location of the court that processes a case. 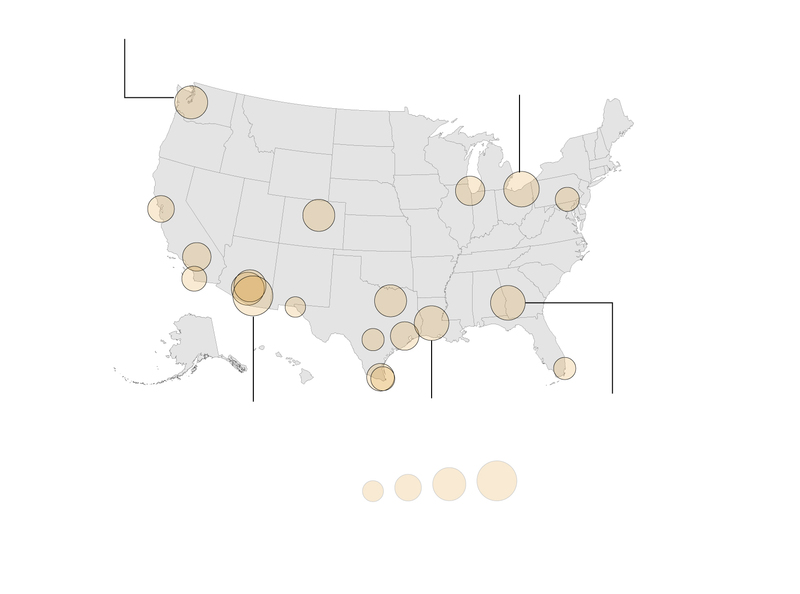 The 20 cities with the largest number of immigrants without legal representation. The state of Arizona has three of the 10 U.S. cities with the highest number of immigrants without a lawyer, according to statistics from 2007-2012. 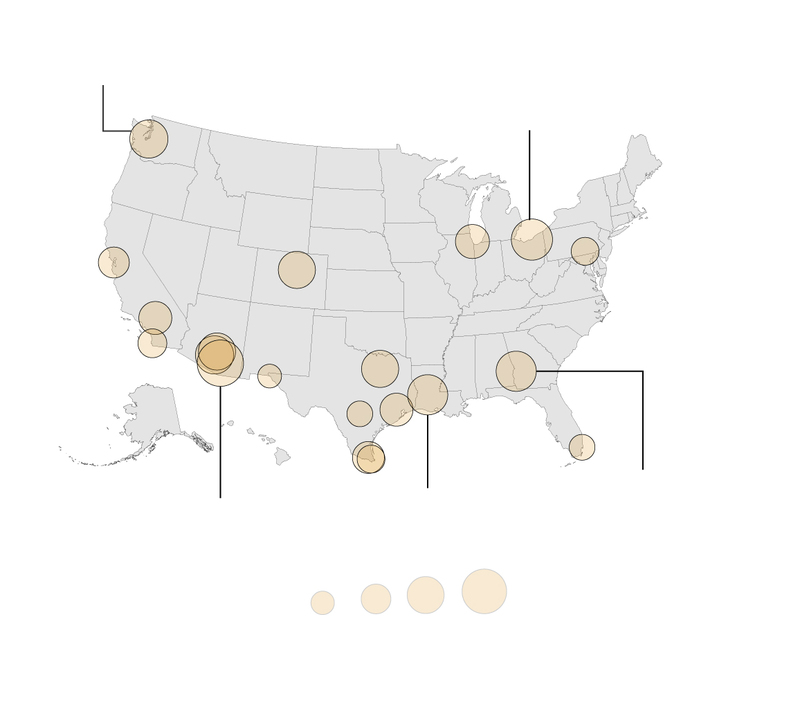 A sampling of data from 2016 obtained by Univision Data from the five immigration courts with the highest number of deportation proceedings in the country shows that the situation has not changed. Of these courts, Krome, in Miami, where immigrants are detained, has the highest percentage of people without an attorney (65%). The government is required by law to provide attorneys for those who cannot afford them only in criminal cases. Immigration cases are considered civil matters and therefore not covered by this law. Roca was luckier than other immigrants who were detained without an attorney. With Munjack’s free counsel, Roca was granted asylum based on domestic violence threats she faced in Guatemala. Roca and her attorney successfully demonstrated that her ex-husband had tried to kill her twice, and returning to Guatemala would place her life in jeopardy. Roca will soon receive a permanent residency card, and she hopes that before December her three children can move to the U.S. to live with her. Roca’s positive outcome illustrates a national trend: Those who have a lawyer are 15 times more likely to present valid arguments to a judge to avoid deportation compared to those without. Having an attorney increases the chances by five times that these arguments will be successful, according to the University of Pennsylvania study. Because of this situation, while Trump persists in his crusade to further repress undocumented immigrants, the lack of legal representation leaves their rights extremely vulnerable and threatens the unity of their families. The potential human impact of massive deportations is enormous, particularly regarding the consequences for families. For example, 5.9 million children with U.S. citizenship live with an undocumented family member, according to estimates by the American Immigration Council in a report this year. How does having a lawyer make a difference? During a deportation process, an immigrant has the obligation to demonstrate legal justification for allowing them to remain in the country. The government tries to prove the opposite argument. Experts consulted by Univision Data, including an immigration judge with 30 years of experience, agree that the battle against the government is unfair if an immigrant has no legal counsel. “Defending oneself in a deportation hearing is complicated,” said Dana Leigh Marks, an immigration judge at Montgomery Street court in San Francisco, California. “Immigration law is as complex as tax law, which is difficult for attorneys who don’t specialize in it,” said Marks, who is the only judge in the country authorized to speak to the press because she heads the National Association of Immigration Judges. Adonia Simpson, an attorney and director of the free family defense program at Americans for Immigrant Justice in Miami, said that in asylum cases (a protective measure that allows immigrants to remain in the U.S. due to reasonable fears over returning to the country of origin), the chances of success are extremely low, even when attorneys are involved. In these processes, in order to be successful, immigrants must demonstrate concrete evidence that there is a risk in their countries of origin. This must be due to belonging to a certain social group, receiving death threats, possessing medical opinions of violence, or showing a state’s failure to protect the asylum-seeker, for example. “Asylum cases are very technical. You can’t just say you’re scared of returning or that you’re fleeing gangs. You need a lot more evidence, a lot of investigation, and a way to strongly support a case before a judge,” Simpson said. Additionally, legal remedies sometimes exist that people don’t know about or that only a specialized attorney is familiar with. “For example, an attorney should look at a person’s entire history. The attorney should find all registries of a client from when they set foot in the U.S. until they left, and later, it might even be necessary to follow the trail outside of the U.S.,” Simpson added. Due to this technical difficulty, a specialized attorney would provide judges with information and details of the case in order to facilitate a better ruling, and they can do it more quickly than the immigrant they are defending. “If a case is well-prepared by the attorney, we judges can receive more information and there is less of a chance that we forget something or lose sight of something important,” Marks said. A larger percentage of immigrants with an attorney could accelerate the processes involved in deportation proceedings at a critical moment for the system. 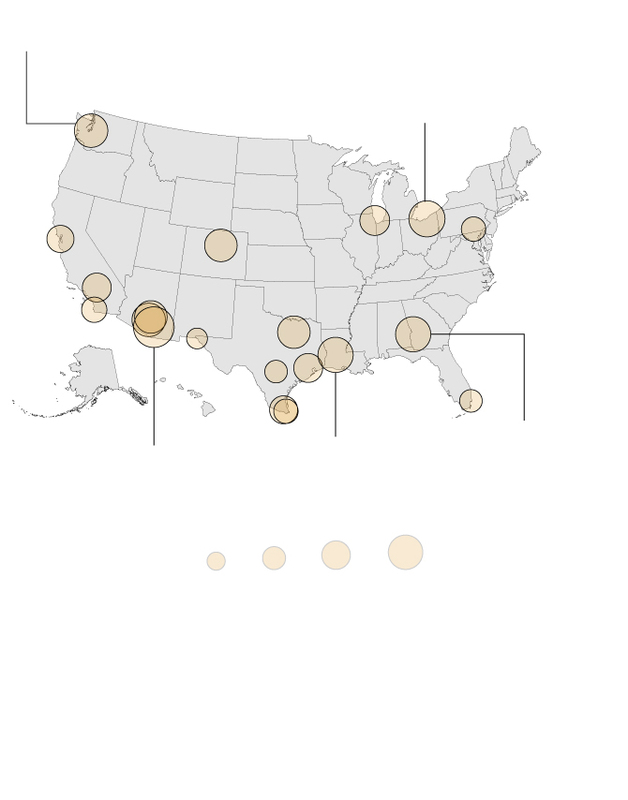 The number of pending cases in immigration courts has reached an historical record of 600,000. “An attorney knows what can be done within our laws and what is not possible, and an attorney is going to accept what a judge says. He or she is not going to remain in detention while waiting to see if a case that has no chance can be won. That relieves the workload,” the judge said. The case of Gladys Rivas, a 38-year-old Salvadoran immigrant, demonstrates the investigative effort an attorney undertakes to help a person avoid deportation. Rivas fled El Salvador because her former partner, a gang member, forced her to have sexual relations with him in prison, where he was serving a sentence of 30 years for a double homicide. Rivas illegally entered this country in 2014. According to her private attorney, immigration law expert Rasha Qumsiyeh, the case’s biggest challenge was finding official registries in a country with a bureaucracy as precarious as El Salvador’s. The attorney had to show that Rivas’ former partner is part of a gang that threatened her life. To demonstrate this, Qumsiyeh had to obtain the man’s criminal record. This was not an easy task, considering the people Qumsiyeh hired in El Salvador to conduct the research feared retaliation by gang members if they found out what was being investigated. “We attorneys try to focus on making our clients’ cases stand out among the many cases that are denied, and that’s what we can do with Gladys’ case. We also had to obtain newspaper reports from El Salvador, showing that that tactic by gang members to force women to have sexual relations is in fact a phenomenon that is happening,” Quimsiyeh said. “Additionally, we had to obtain proof of who this person, the former partner, is, why he had the potential to cause harm, to cause suffering, and that Gladys’ fear was real,” Quimsiyeh added. With the help of her attorney, Rivas was granted asylum in May 2017. According to the file that Qumsiyeh showed Univision Data with Rivas’ permission, the judge determined that she belonged to a social group categorized as “Salvadoran women who refuse to have sexual relations with a gang member,” which is protected under U.S. law. Does it make sense to expect an immigrant to have the resources to carry out all of this work alone? “We’re talking about a situation in which without an attorney, the investigation will be in the hands of someone with little schooling, some don’t speak English, they’re far from their countries, they don’t have resources, they don’t understand the system, they don’t know the potential legal recourses that exist,” Simpson said. The need for undocumented immigrants to have legal assistance isn’t only a humanitarian issue. There are also financial arguments: Each deportation costs an average of $11,000 for taxpayers. Several studies show that attorney participation increases the efficiency of the courts and lowers operating costs. 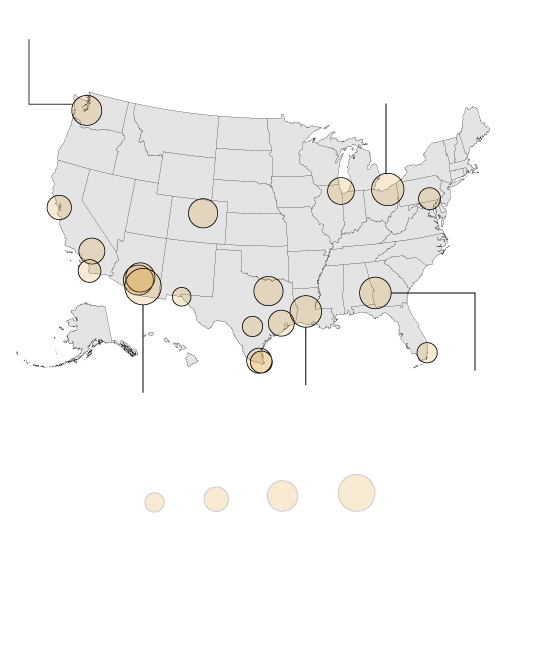 Tucson, AZ, is the court with the most immigrants lacking legal representation. The city is known for its "express courts" held in Border Patrol detention centers. When legally represented, immigrants file fewer claims without merit, they’re more likely to await judicial proceedings outside of detention centers, they spend fewer days in jail (which reduces the costs of housing, food, etc. ), and they tend to voluntarily appear at deportation hearings. A 2014 investigation showed that in New York, a system of public defense for immigrants would generate enough savings for the government to pay for itself. Last April, the Vera Institute for Justice announced something unprecedented in the U.S.: a coalition of organizations that would provide an attorney for every immigrant processed in New York state courts. But New York is an exception. The current norm in the U.S. is for poor immigrants to face Trump and his repressive bureaucracy without legal aid. And that is a battle almost guaranteed to fail.